ANS announces new issue of shares. Fouriertransform AB and existing owners (Sjätte AP-fonden, Första Entreprenörsfonden and Attentus Göteborg) invest 12 MSEK in ANS. 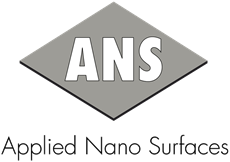 The funding will support ANS in its future expansion in the market. Read the press release here: Press Release (in English) or Pressmeddelande (in Swedish).